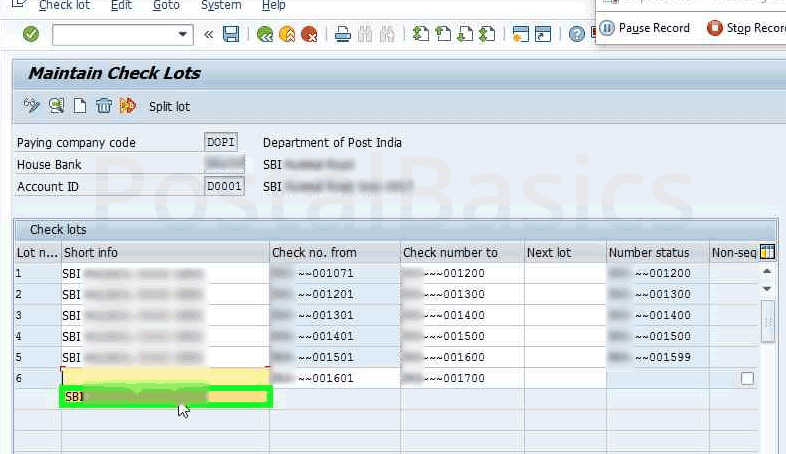 How to Add Post Master’s New Cheque Book to the lot in CSI Post Office? In this article, I will be explaining how to add new checkbook to the system. Once the old checkbook is used completely, we have to add a new one to the lot. But before adding, please check each cheque leaf for any printing mistake, any non-sequential number etc. If all the leaves are correct, you can add the book to the system. 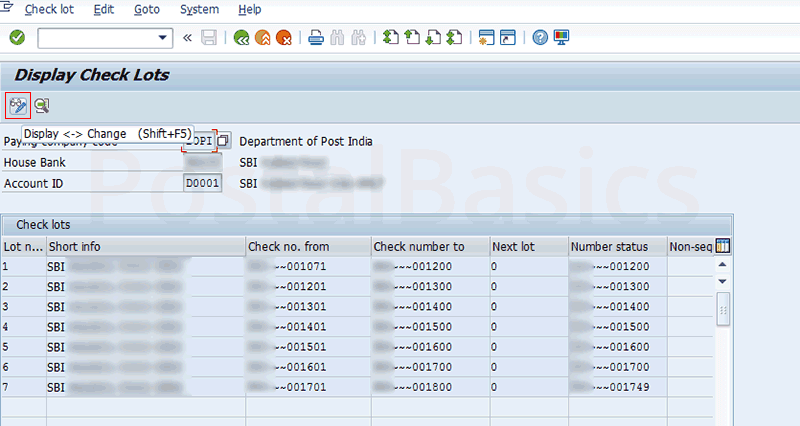 Now, go to SAP and type the T-code FCHI. The below screen will appear. Click on the Display(Spectacles Icon) button. The below window will appear. Again, click on the Display(Spectacles with a Pencil Icon) button. The same window with a New(New Page Icon) icon will appear. Click on the New button. The next window will pop up. Lot number If you using the second checkbook then, it should be 2 and so on. Check number Starting number of the cheque book. To Ending number of the cheque book. Note The Nonsequential checkbox should be unticked. 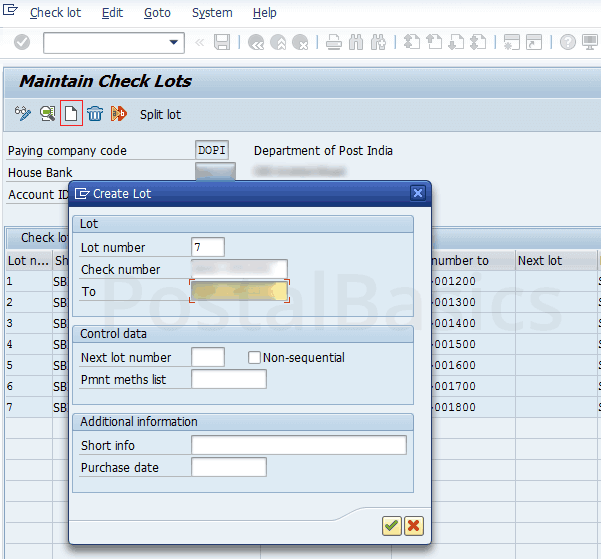 Here, type the name of the bank in Short Information column and once again confirm the non-sequential column is unticked or not. Finally, click on SAVE button. This is how you can add new checkbook to the lot. How to Remove Spoiled Cheque Leaf in CSI Post Office? How to Issue Cheque to Sub Post Offices? How to Issue a Cheque In CSI Post Office? How to Create Cheque Liability in CSI Post Office?